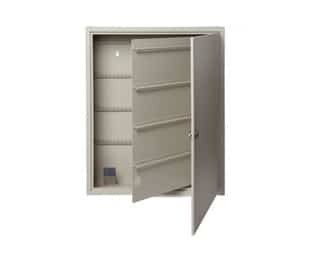 HPC’s KeKab® Key Cabinets provide storage for 8 to 730 keys. The smaller sizes are perfect for homes, apartments and small businesses. The larger sizes have sufficient capacity for universities, hospitals and large office towers. The cabinets come complete with numbered key tags, key control tags and hardware for wall mounting.